Thank you for voting last week! The flyer above was your overwhelming choice for our promotional efforts. Thank you for voting on Facebook, for emailing your votes and pressing “like” on the flyer of your choice. Congratulations to our winners of free tickets, Janire Hopkins and Elizabeth Dixon! 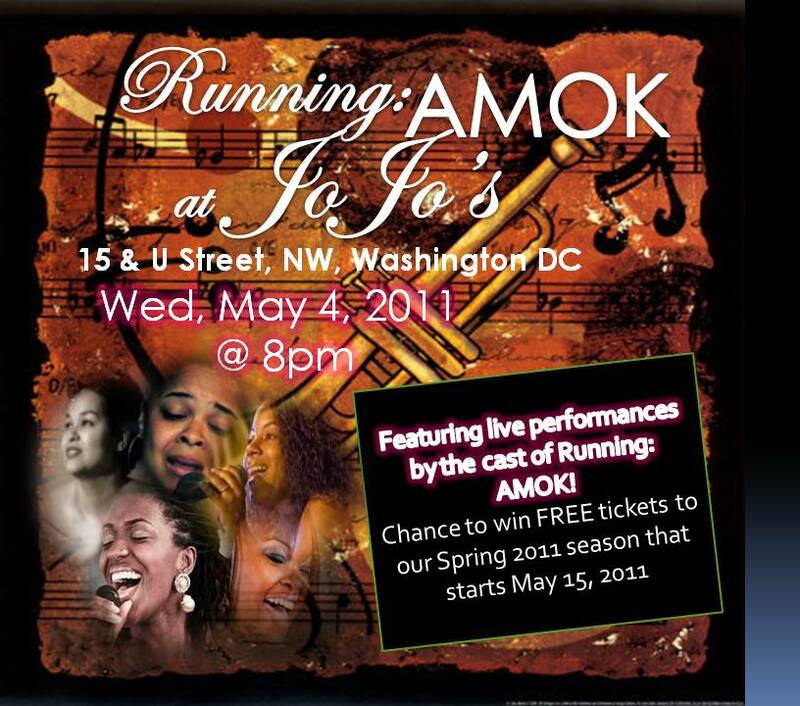 Come and have drinks with the cast of Running: AMOK and enjoy live performances by Deja Belle, Quineice, Colie Williams, Nia Simmons and Rayona Young at Jojo’s on 15th & U street in Washington DC on Wednesday, May 4 @ 8pm. Food sold. 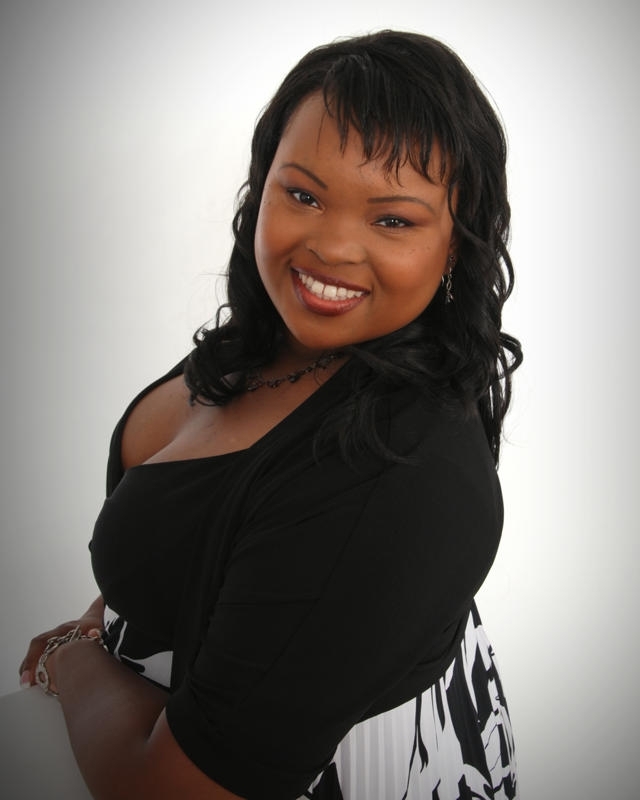 Tiffany Beard– How did you find yourself as a budding artist with a love for singing/acting? Nia Simmons– I’ve been singing since the age of three, starting in the church then gradually moving on to local talent competitions and community events. It wasn’t until about age 12 when I performed in my first school talent show that I realized I had a gift that may be worth cultivating. I was in shock at the loud applause I received. It was a huge rush of positive energy and I decided I wanted more of that. I really have to thank my parents for their help in nurturing my talents throughout my childhood and into my early adult years. They invested in my piano and voice lessons, and also in my collegiate education at Howard University where I am a proud Music Department alumna. T– How did you start working with Liberated Muse and Khadijah Ali-Coleman? NS– I met Khadijah a few years ago through a mutual friend and have attended some of her events, the most recent being a performance she did in February which included some of the cast of her play, Running: AMOK. It was there we began to talk about the play and I was invited to their next rehearsal to read for one of the roles. And that’s how I came to join the 2011 cast in the role of “Lyn”. T– You do an amazing job playing Lyn. I am glad that you are pursuing your art so we can benefit from experiencing your talent. NS– Thank you. I’ve been away from the theatre arts world for a while focusing solely on music. It’s good to be back, and I get to share the stage with a fabulous cast of talented individuals. It’s been a great experience. But music will always be my first love and I am thankful for every opportunity I receive to perform. If I can eventually build up my music career to the point where the income would enable me to pursue it full-time, I would be in heaven!